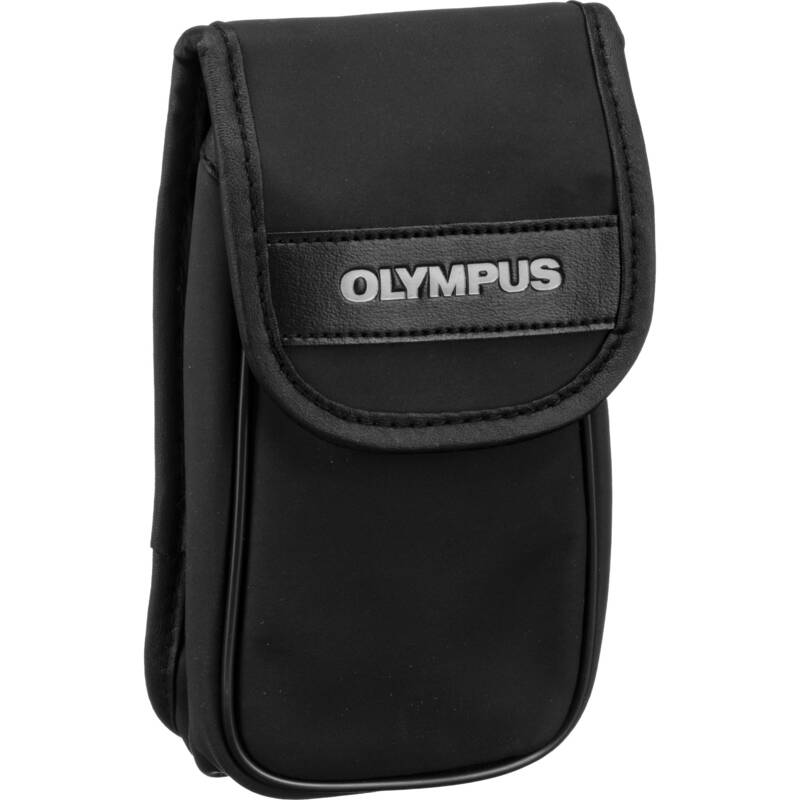 The Olympus Compact Camera Case (Black) is a sturdy vinyl case with Olympus logo on the front. 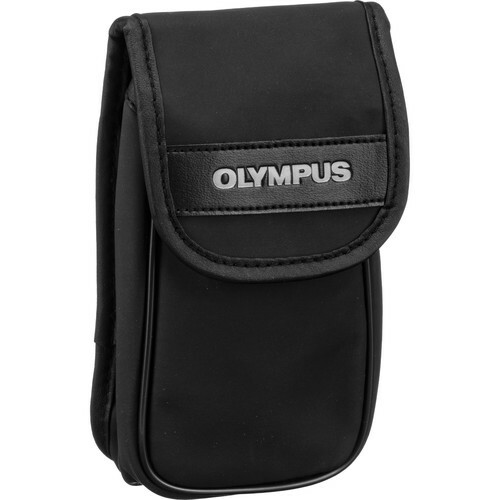 It is made to carry various Olympus compact digital cameras. The case features a touch fastener closure and a belt loop. Box Dimensions (LxWxH) 5.5 x 4.0 x 0.8"
Compact Soft Camera Case is rated 5.0 out of 5 by 3. Rated 5 out of 5 by K.A. R. from Fits Olympus Infinity Stylus (35mm point and shoot) I lost the case to my 35mm Stylus years ago, and have regretted it ever since. Recently I came across this case at B&H. It's a tad too big (interior is about 5.5 x 3.5 x 1 at the bottom and 1.5 at the opening), but the camera fits just great and now I can throw it in my bag again and take it along. :) There is a handy loop for attaching the camera strap to the case, so maybe I won't lose this one. This would be a bit small for the Olympus TG-860. would this fit my Olympus AF-1 film camara? Will the Olympus stylus 1 fit in this case? Will the SZ-16 fit?Is the cover velcro?